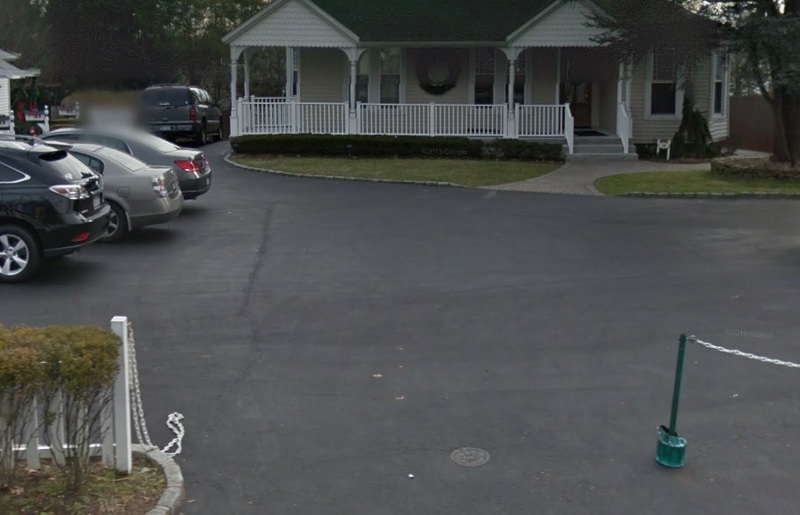 Smithtown Paving Contractor - DuMor Construction Inc. Parking lot maintenance can keep parking lots free from potholes, cracks, and fading. Our commercial clients understand this, and they always contact DuMor Construction Inc. as their Smithtown asphalt contractor. We specialize in all parking lot repairs, maintenance, and installs. We have over three decades of asphalt experience. We provide a variety of services to meet the needs of our Smithtown customers. We also provide parking lot striping. We can solve any paving issue you might have. 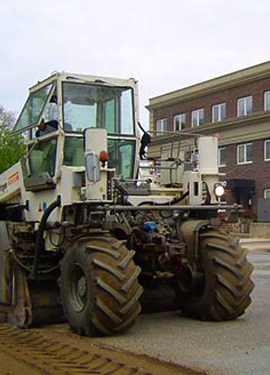 If you have concerns regarding your next paving contractor project, be sure to call us today. Smithtown is located on the North Shore of Long Island, New York. The town has a population 117,801. The town was originally known as Smithfield. It has been told that a Native American Chief’s daughter was kidnapped, and Richard Smith made a deal with the chief that if he could ride a bull to save her in one day, then he could acquire land. Today, Whisper (the name of the bull) statue is still standing in the town. The Smithtown Historical Society Museum is located on twenty acres. The museum has photos, displays, and exhibits that reflects the history of the town. There is also educational programs for children at the museum along with Civil War reenacting. The Smithtown Historical Society Museum is ideal for visitors that would like to learn about the history of this town. The Blydenburgh Park is great for outdoor enthusiasts. At the Blydenburgh Park visitors can go hiking, boating, fishing, swimming, and there is a campground if you enjoy camping. The park is pet friendly and there is a playground for the kids too. The Smithtown Center for the Performing Arts is the place where you can see professional entertainment. There are always plays and shows being performed along with comedy shows. If you come to the town, then just check the schedule to see what entertainment is being offered. When you are ready to enjoy a delicious meal, then you can go to the Insignia Prime Steak and Sushi or Croxley Ale House. Insignia Prime Steak and Sushi is the newest steakhouse in the town and is now one of the most popular as the steaks are done to perfection. The Shea’s Silver Linings, Come Find Your Treasure, and Starlets and Studz are just a few of the popular shopping venues in the town. You will find something special and unique at one of these boutiques. 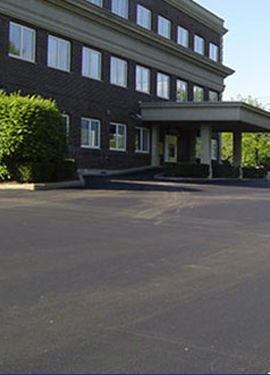 DuMor Construction is the commercial asphalt contractor that provides the best parking lot services in Smithtown. Contact us today if you are having issues with your parking lot or you just want regular parking lot maintenance performed. Recently, we got a call from a fast food restaurant that needed their drive-through repaired. They also wanted to add some spaces and expand to have a second drive-lane. 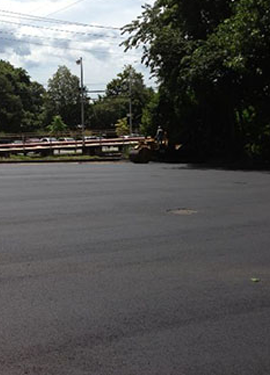 We were able to build new asphalt for them after providing their repair needs. 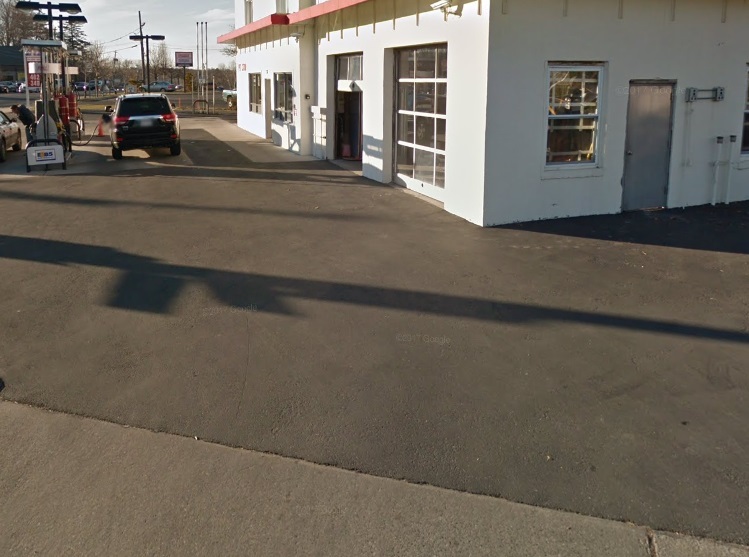 Our asphalt specialists arrived for the asphalt paving in Smithtown at the restaurant to inspect, evaluate, and provide an estimate for the fast food restaurant owner. Our guys inspected the parking lot and drive-through, then provided the owner with a few options and then an estimate that he was comfortable with. He scheduled us to start on his parking lot first thing Monday morning. The crew arrived first thing Monday morning. All of the crew were commenting on how great the weather was as the temperature wasn’t too hot and there wasn’t a dark cloud in the sky. The crew wanted to start repairing the drive-through immediately as they only had a few hours until the restaurant was to open and the customers would need the drive-through to be ready. The drive-through needed to have extensive crack sealing done. The crew began to clean the cracks first so there would be no debris or dirt in the cracks, then they applied the crack sealant to each of the cracks thoroughly. The crew then started working on the adding additional parking spaces where the owner asked them to. They prepped the ground, then they began the grading and sloping to the ground so the water would drain off properly. The crew added the sub base aggregate, then they compacted it to reach the appropriate thickness, then they applied the binder layer. The crew applied the surface asphalt, which is a mixture of small aggregate, oil, and sand, then they compacted the surface. The crew did these exact steps when they added the second drive-thru. The crew always made sure that when they working at the restaurant they never got in the way of the customers that was visiting the establishment. At times it was difficult, especially when they were trying to add the second drive-through, but they were able to get it done. All of the repairs were made, the added parking spaces, and the second drive-through lane was installed for the customer. Once all of the work was finished the parking lot and second drive-through lane looked great. We were able to get the parking lot paving in Smithtown done two days ahead of schedule, which was very much appreciated by the customer because his fast food restaurant was very busy each and every day that we were there. 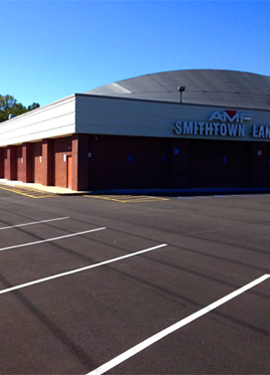 Our crew finished another successful parking lot paving service for another happy customer in Smithtown.